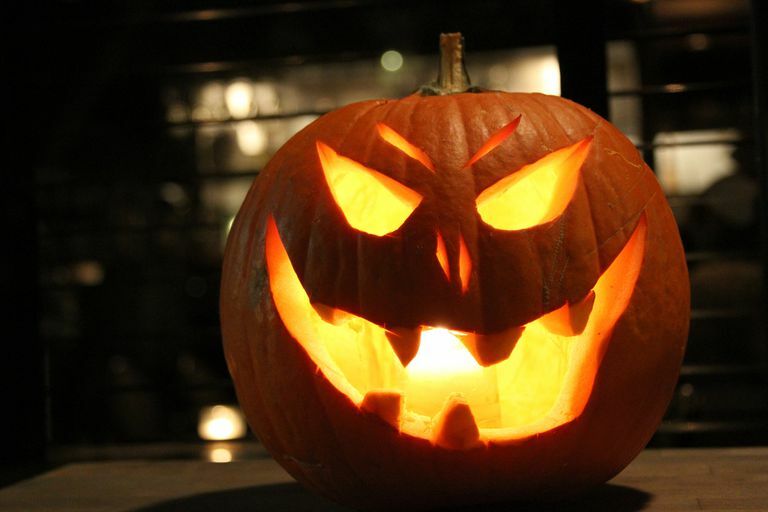 Halloween may be just one day, but many people celebrate all month long. You can get into the spirit by downloading some spooky apps and games that you can play all year. Many popular Android games, such as Angry Birds and Hill Climb Racing, offer Halloween-themed levels. Others have jumped on the zombie trend that doesn't seem to be going away anytime soon — even birds have been zombified. There are also some downright creepy strategy games featuring haunted houses and angry ghosts. Here are some of our favorites Halloween-themed Android games, most of which are free, though you may have to contend with ads and prompts to make in-app purchases. Be sure to all check out my roundup of Halloween wallpapers, ringtones, and more. Beware the zombified birds! In this game, undead birds are after the Pumpkids and it's your job to protect them. This shooting game is more challenging than meets the eye since you can quickly run out of arrows, and we, admittedly, had some trouble learning how to shoot correctly. You can buy more arrows and various power-ups in the Grave Store using coins that you've earned through gameplay. (You can also earn coins by watching ads, downloading apps, and other activities.) Shoot the ZomBirds is free with optional in-app purchases. Angry Birds Seasons: Hammier Things by Rovio Entertainment Ltd.
You can find a lot of holiday-themed levels on Angry Birds and Angry Birds Seasons including past hits like Trick or Treat and Ham-O-Ween in addition to Christmas, Easter and Valentine's Day levels. Angry Birds Seasons brings it on with Hammier Things (Get it?) complete with a redesigned Stranger Things-style logo, and new backgrounds and effects. Angry Birds 2 also has a Halloween update, featuring Halloween masks and jack-o-lanterns. Angry Birds Seasons and Angry Birds 2 are free (ad-supported) with in-app purchases. Plants vs. Zombies 2 is spooky all year long, with slow-moving, and often silly-looking undead creatures out to get your brains. Your defense line of plants can even earn costumes for extra flair. The app offers new levels from time to time, from the chilling Frostbite Caves to the psychedelic retro-themed Neon Mixtape Tour to Modern Day. The zombies may not be very scary, but come Halloween, you can play special levels, and a handful of your plants get "spooky" costumes, like mummy tapes potatoes and witchy flowers. Plants vs. Zombies 2 is a free download, supported by ads, with some optional in-app purchases, such as premium plants. No way to transfer save data between devices. Hill Climb Racing is one of my favorite games. It features Newton Bill chugging along in vehicles ranging from a monster truck to a double decker tour bus to a tank. Be sure to check out the fan-created Finger Screw vehicle. It's . . . interesting. The app is regularly updated with new levels and terrain, and for some Halloween spirit this year, you can take a spin on spooky Ragnarok, a black and white level full of surprises. Or you can drive through the Haunted Level, which features smashable pumpkins, spooky trees, bone bridges, skeletons, gravestones and more. Plus, Bill sports a cape all month. ​Hill Climb Racing is free, with some in-app purchases available. We discovered The Haunt 2 when in the mood for a spooky, immersive game. In The Haunt 2, you, the player, are tasked with ridding a haunted house of its evil spirits. To do so, you have to unlock hints and play mini games until you've banished all of the ghosts and demons. It's actually scary at some points since you never know what's around the corner, and the game is challenging enough to keep you interested for hours. The Haunt 2 brings you to a haunted town called Crimson Hill and features a haunted battlefield and lots of spooky twists and turns. The Haunt 2 costs $1.99. What Are the Scariest Games for the Xbox?